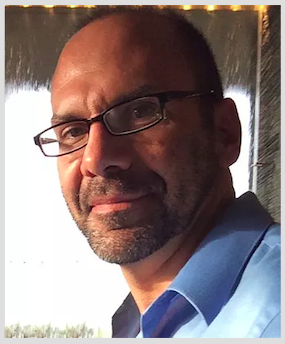 Please join the Journal of Orthomolecular Medicine Editorial Board and International Society for Orthomolecular Medicine in welcoming Dr. Alex Vasquez, DO, ND, DC , as the new Editor of the Journal of Orthomolecular Medicine in 2019. Alex Vasquez holds three doctoral degrees as a graduate of North Texas College of Osteopathic Medicine (Doctor of Osteopathic Medicine, 2010), Bastyr University (Doctor of Naturopathic Medicine, 1999), and University of Western States (Doctor of Chiropractic, 1996). Dr. Vasquez is recognized internationally for his high intellectual and academic standards, and for his expertise spanning and interconnecting many topics in medicine and nutrition. He has published more than 120 books, articles, letters and editorials; and brings the experience of having peer-reviewed and edited for numerous journals, including: Autoimmune Diseases; PLOS One; Alternative Therapies in Health and Medicine; Neuropeptides; International Journal of Clinical Medicine; Journal of Inflammation Research ; Journal of Pain Research; Integrated Blood Pressure Control; Journal of Biological Physics and Chemistry; and Journal of Naturopathic Medicine. Dr. Vasquez is also the Founding Editor of Naturopathy Digest and the International Journal of Human Nutrition and Functional Medicine. Experience the Best Education From Leading Orthomolecular Clinicians and Researchers Presenting Sessions on Current Advances in Oncology, Immunology, and General Medicine at the Fairmont Hotel Vancouver, May 31–June 2, 2019.